Cisco's new core router technology, known as "CRS-X," is insanely fast -- double anything else that exists on the market. Core routers sit at the epicenter of the Internet, serving as the traffic cops at the biggest intersections on the busiest data highways. 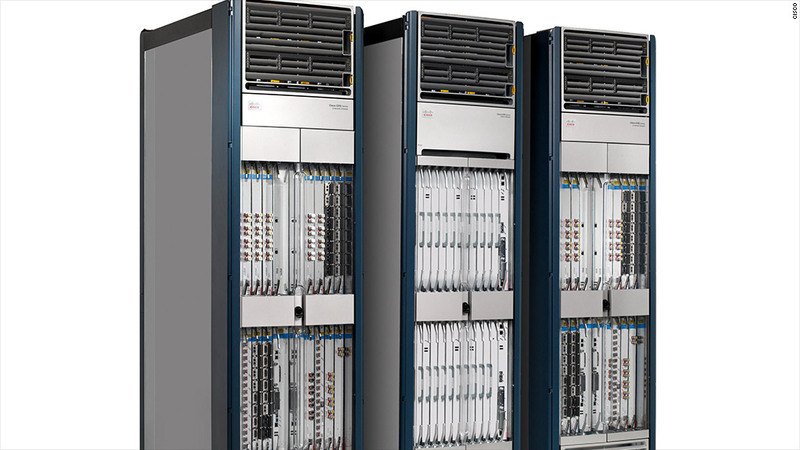 A single CRS-X rack provides speeds of 400 Gigabits per second. That's fast enough to provide streaming HD video to every New Yorker simultaneously, Cisco (CSCO) claims. A full, multichassis setup is capable of downloading the entire printed collection of the Library of Congress in a split second and can stream every movie ever created in about a minute.